So let’s talk about risk management and what happens when you fail to prepare. Even for a simple hike. A few weeks back two individuals were out at Devil’s Lake State Park near Baraboo, WI and embarked on a hike later in the afternoon. As the sun set, the pair became lost and ‘stranded’. They were using the phones to illuminate the trail in the dark and weren’t dressed properly for the conditions. They reached an emergency callbox on-top of the West Bluff at 8pm, pressed the button and reported they were ‘stranded’. Yes, they used the word ‘stranded’. Unfortunately, that callbox wasn’t being monitored at the park office as it’s the off-season and off-hours. Thankfully a good Samaritan at home listening to their police scanner picked up the duo’s plea for help and alerted local authorities. They were both found an hour later. What’s missing in this situation? A lot of things. 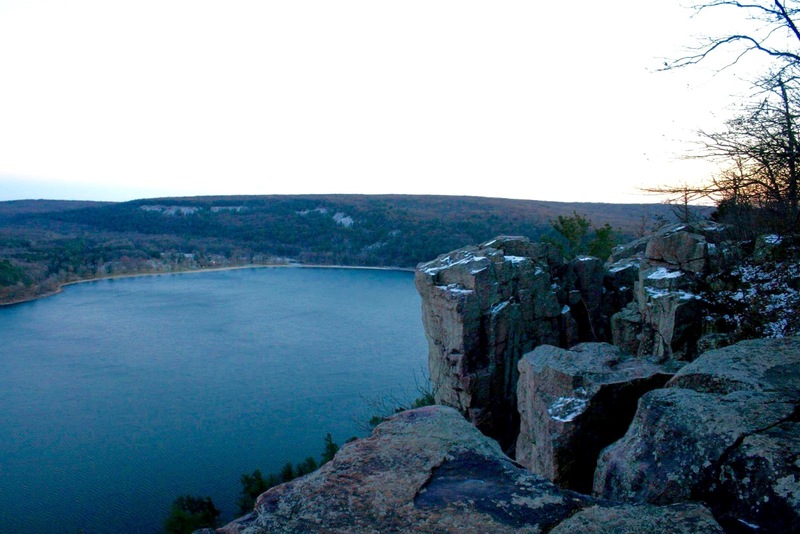 Yes, Devil’s Lake State Park is the largest and most-visited state park property in Wisconsin but it’s not a place to underestimate in the winter. It’s also a park that’s hard to get lost at, especially if you’re hiking on the bluff trails which go up, and down on either side of the lake. You can also see the visitor center lights on at night, from the top of that west bluff. Why didn’t they grab a map at the entrance station or print one off at home ahead of time? The bluff trails loop around the lake so why not just turn back around and head down to where you started? Not to mention…the main trail on the bluffs are even paved in some places, which would be not tricky to find even in light snow cover. Temperatures that night according to the National Weather Service hovered around 15 degrees in Baraboo with some bitter wind chills. We’re they dressed properly for winter conditions? Doubt it. Exposure kills. Lastly...I had to palm-to-face when I read they used their cell phones to ‘light the trails’. Come onnnnnn, that’s a hilariously dumb mistake. If you know you’re going to be hiking in the late afternoon and into the starting evening hours, during the winter months when it gets dark earlier, why would you not bring a flashlight? That’s just asking for trouble and raises the risk factor tremendously. This post isn’t meant to berate these two hikers (in fact I’m thrilled they both made it home safe that night)…but rather to call-out what they did wrong and how easily this whole situation could have been avoided. You always, always, always need to be prepared and use some common sense in the outdoors. Regardless if it be a day-hike at a local, county or state park…or a multi-day expedition into the backcountry at high-altitude. Figure out where you’re going, know the land, have the right equipment and keep an eye on the conditions. That’s how you stay safe and have a fun time.